I can definitely feel summer leaving. One of a sudden I've noticed that the long days became shorter and the flower sections at the grocery stores were filled with chrysanthemums. 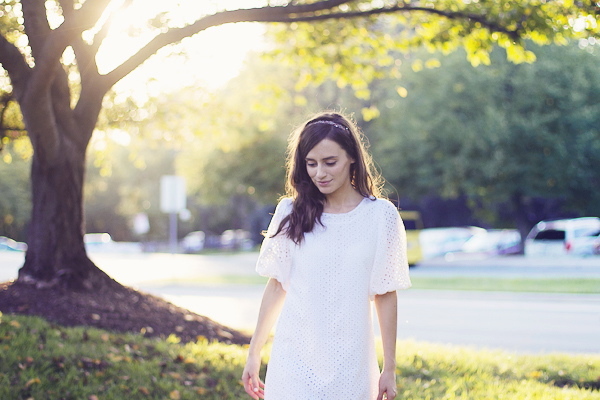 It feels bittersweet and I'm trying to enjoy these last days of summer wearing all the dresses I haven't worn yet, having iced caramel macchiatos for dessert and just pretending that the warm sunny days will never end. p.s. many thanks to Andrea's Beau for the loveliest headband and sweet emails, and thank you to Sheinside for the beautiful dress. I can't believe, that's the end of the summer. I hate autumn - rain, wind, cold. One thing, that I love at this time are the beautiful colors of leaves and grass. I feel the exact same way: not, not, not ready for summer to end! Fall is already bringing too many responsibilities and stresses. You do look absolutely lovely in these shots, though! Gorgeous lighting and look. nice blog follow each other? What gorgeous pictures! That headband is amazing! This dress is so sweet on you. Gorgeous photos. That dress is so summery and pretty. Such a pretty dress. 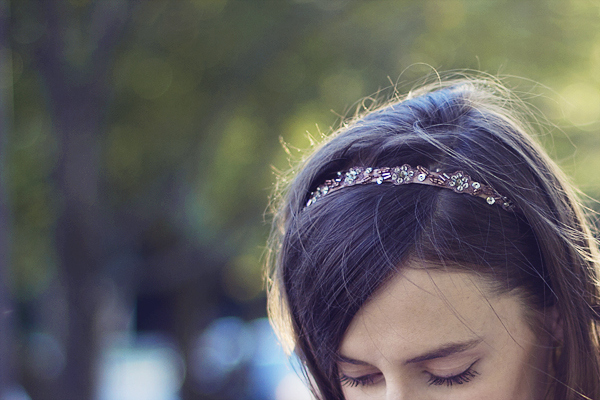 The sparkly headband is the perfect finishing touch! Summer is coming to an end so fast. I was thinking about that last night when I was having a glass of wine with a friend and there was a bit of a chill in the air. Have a lovely rest of your week lady. Gorgeous pictures of such a gorgeous lady! I love that dress and that headband is so pretty! outfit molto carino! anche io ho un blog che ne dici di passare? mi farebbe molto piacere! That dress is gorgeous! I'm trying to squeeze in some final summer outfits as well. So angelic! I love the dress.